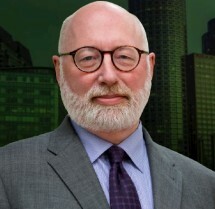 J. W. Carney, Jr. and Associates is headed by one of the most successful and renowned criminal defense attorneys in Massachusetts — if not the country. Jay’s work has been highly praised by others in the criminal justice system, including by fellow criminal defense lawyers, prosecutors, judges, and especially clients. The firm utilizes a team approach to give the client the highest level of advocacy in the most cost-effective manner possible. Our clients benefit from the experience, knowledge and passion of our entire team when working with our firm. Each lawyer is highly skilled in criminal defense. We work together, drawing upon our extensive experience to develop cutting-edge legal strategies. It is this combination of knowing what has succeeded for our clients in the past with an openness to embrace new approaches that gets consistently outstanding results. If you or a loved one has been charged with a crime or to learn more about our criminal defense services, contact J.W. Carney Jr. and Associates today.